SCIENTISTS, breeders, farmers and conservation groups must continue to work in close collaboration to prepare for the potential re-emergence of a forgotten crop pathogen, a new study advises. 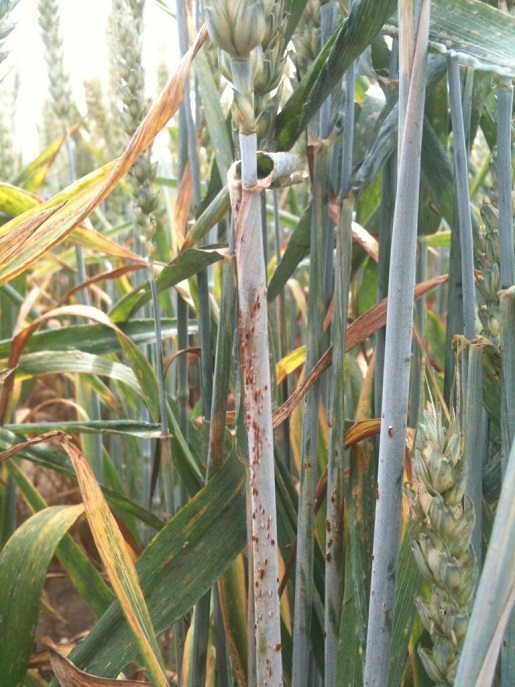 Work between groups has already started following the discovery of a single wheat plant infected with stem rust in the United Kingdom – the first confirmed case of the plant disease in the UK in over 60 years. 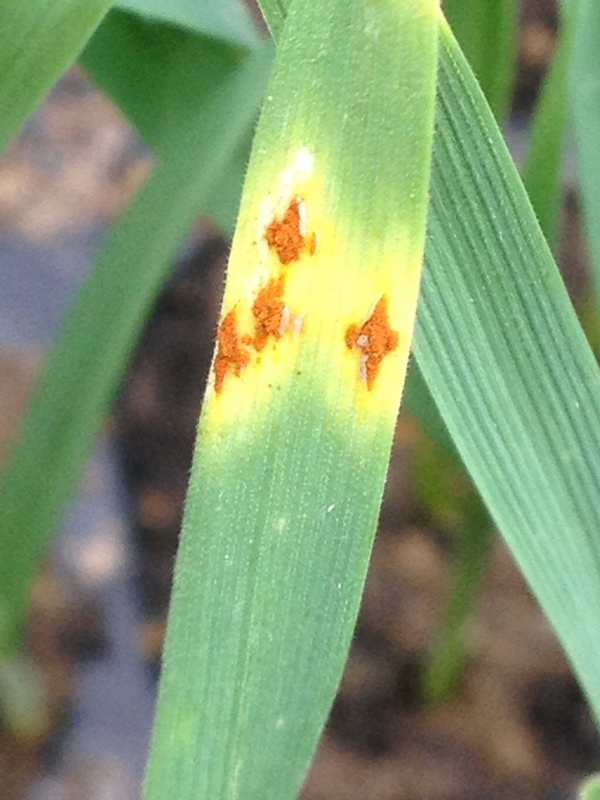 Stem rust of wheat and barley has throughout history been associated with crop failure and famine, and has recently re-emerged in western Europe. Following the discovery of a single infected wheat plant in Suffolk in 2013, Dr Diane Saunders and Dr Brande Wulff from the John Innes Centre in Norwich, led a global team of collaborators to carry out genetic tests that compared this strain to the dominant global populations of the pathogen. Their results showed that the UK strain belongs to the Digalu race of the fungus, which was responsible for a devastating outbreak of stem rust in Ethiopia in 2013, and smaller outbreaks in Sweden, Denmark, and Germany in the same year. Further investigations carried out by Dr Jane Thomas at NIAB in Cambridge, UK, found that over 80 per cent of UK wheat varieties tested are susceptible to the UK strain of this pathogen. This indicates that if the strain became established in the UK, a large proportion of UK wheat could be at risk. The research team warns that UK and European wheat and barley crops could be under threat from a perfect storm of conditions favourable to stem rust resurgence. Dr Daniel Bebber at Exeter University, UK, showed that changes in climatic conditions over the past 25 years suggest increasingly conducive conditions for fungal pathogen growth and infection. In addition to the lack of resistance in European wheat varieties, in recent years the alternate host of the pathogen, Barberry (Berberis vulgaris), has also been increasing in popularity. This hedgerow shrub plays a key role in the life cycle of several rust pathogens including wheat stem rust. 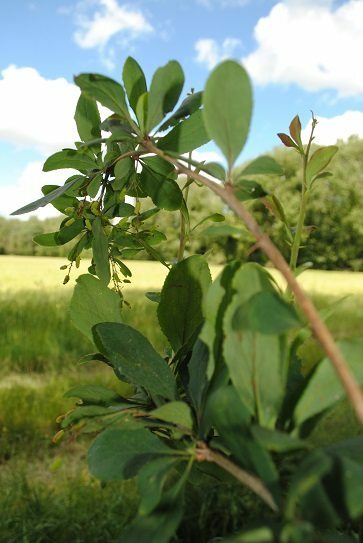 The Barberry shrub was largely removed across England up until the early part of the 20th century, as farmers noticed that cereal crops grown adjacent to Barberry bushes were at greater risk of stem rust. However, over the last 20 years or so Barberry shrubs have been planted in efforts to conserve the Barberry Carpet moth, an endangered species. Much of this planting is focused on the relatively few areas where the moth is found, although other plantings have occurred elsewhere. Dr Saunders said the next steps in the process would be a larger study to map and sample Barberry across the UK working alongside conservation groups.